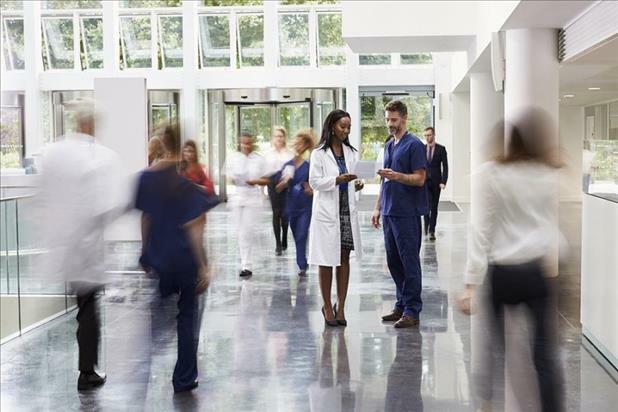 Hospital jobs often look good with promises of excellent pay and working conditions, but there's one thing people overlook when applying for physician jobs: What is that physician's office or hospital really like to work in? The culture of an organization can make or break a career, and it is important that you fit in. Read on for a few tips on how to check out the workplace when doing a physician job search. Part of the process for applying for physician jobs is speaking to the people you'll be working for. Talk to the medical director or head of department and find out what they expect from the job. If your potential new boss is consistently unavailable to discuss the role with a potential new physician, this could be a sign they are not around for support or advice once you have the job. Think about asking people you know who have worked in the area who can also tell you what the hospital is like. Check out online reports and research portfolios to build that picture. Taking time to visit the new hospital or practice is all part of researching whether the doctor jobs there are suited to you. It's a great opportunity to check out the culture. Do people acknowledge visitors to the department? Do staff members look like they are engaged and working together? How do they work as a team and interact with patients? You could ask what they like about working in this particular department or what the busiest time of year is like. Chances are you'll get encouraging answers, but look out for the silent moments, which can be revealing. When checking out those new private practices or hospital jobs, one way of finding out how forward-thinking a department is will be to ask about change. In medicine there are changes in practice all the time, from technology to techniques. Ask what changes have been made in the last two years and what they are planning to do in the next five. Is change implemented by one person, or does everyone get to have a say? Not having significant developments in an organization indicates you may have a lot of work to do to change the culture. It is also a sign that there may be a lack of resources or reluctance to embrace new ideas. Don't forget to research strategic change in a new organization, too. Will there be mergers of hospitals, or will care move to a community-based setting in the future? All of this can affect that new job. When you look at that physician job description, try to establish whether this is a new post or a replacement position. Has the previous post holder moved on to a promotion? This would be a sign of development and growth. It may be that there has been a succession of short-term appointments--a warning sign that the job may not be as good as it says in the advertisement. Doing a little research into the workplace when applying for physician jobs is essential so you get a position that is perfect for you. Just remember, if there's something bothering you about that so-called perfect job, follow your instinct and check it out before finalizing the new contract.